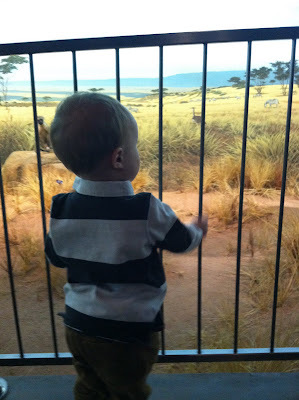 My mom and I took Paul to a wildlife museum, essentially a room filled with huge stuffed animals. I was not sure he was going to like it, but of course he thought it was the best thing that ever happened to him and took close to a 4 hour nap when we returned home. Anything that makes my baby sleep like that is a success in my book. Paul loves monkeys, so when we walked up to that part of the museum he was quite excited. 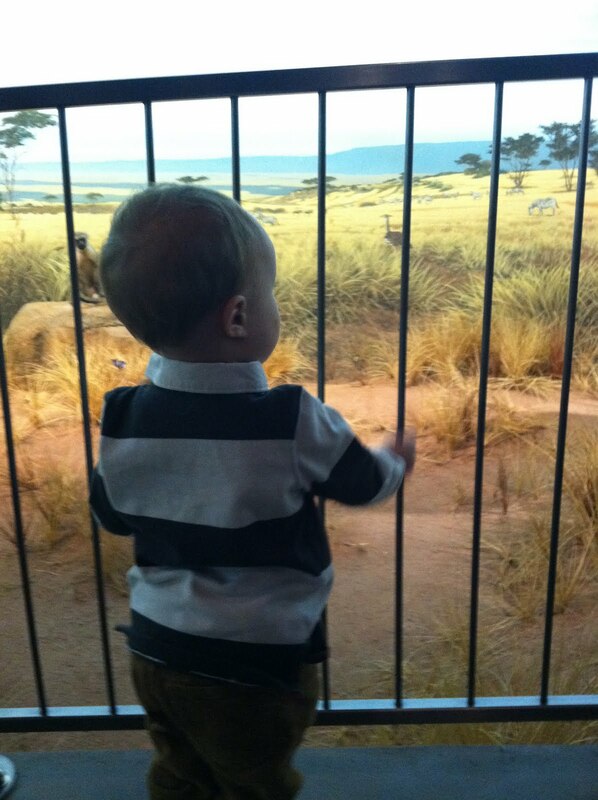 He looked at the exhibit and turned to my mom and I and said "two monkeys." There were in fact two monkeys. Can he count? Is he a genius? According to GG and I, the answer is an obvious yes. 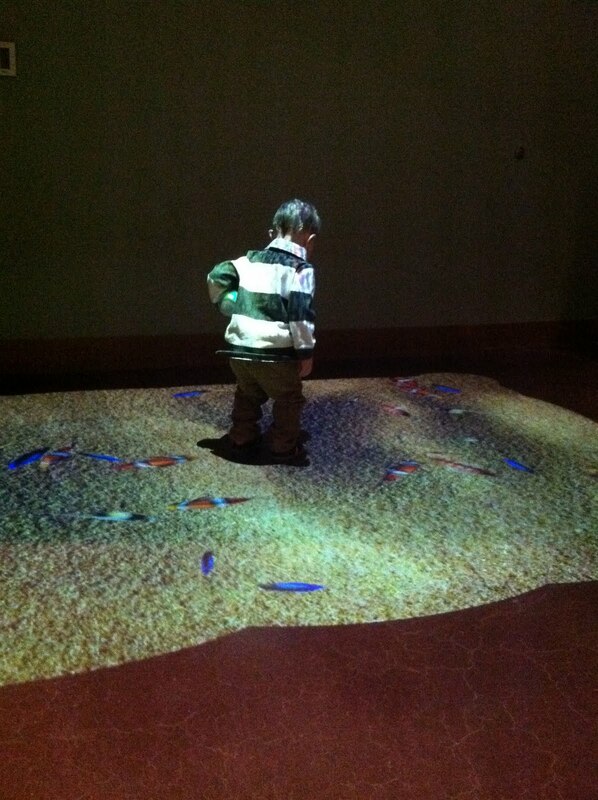 Another highlight was dancing on fish. 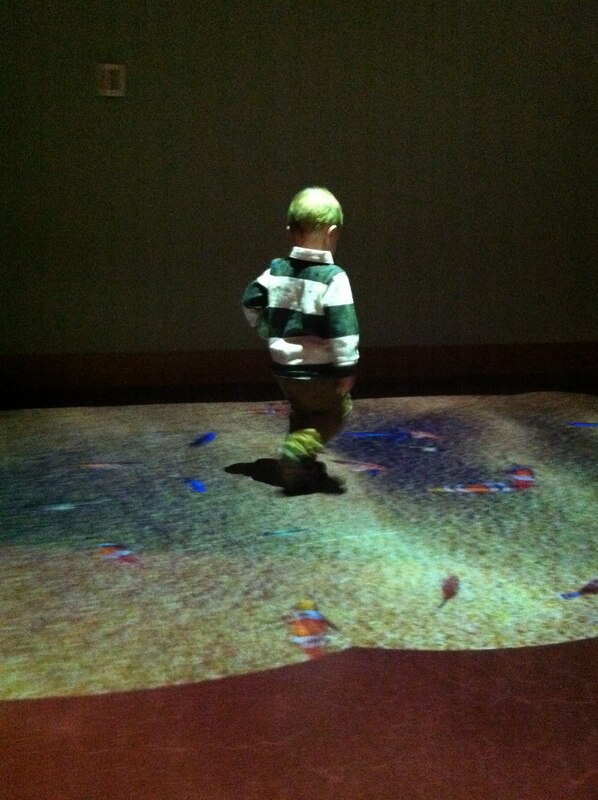 A projector from the ceiling gave the impression of fish swimming on the floor. Once you gave contact to these fish with your shoes, they would "swim" away from you. Paul was determined to capture these fish, which in turned looked like some very impressive dance moves to any bystander. We then took him to Red Robin. He ate a basket of fries and dipped his macaroni and cheese in ranch dressing. Living on the wild side. this little guy is WILD! and yes, he is totally a genius who can count. Anything that leads to a 4 hour nap should be repeated! Enjoy those napping days. How I long for them to take a nap!